Animating a character is a great way to get started with Scratch! This plan shows how to offer a one-hour class or workshop on this theme. See an overview of this workshop in action! First, gather as a group to introduce the theme and spark ideas. Show a couple of examples for inspiration, like from this Scratch studio. Spend most of the time helping support students creating projects. Here are two resources students can use. Students can use the Animate a Character tutorial on Scratch. Print these coding cards for students to use. To conclude, encourage students to share projects and reflect. Share in small groups, with the whole class, or on the Scratch website. 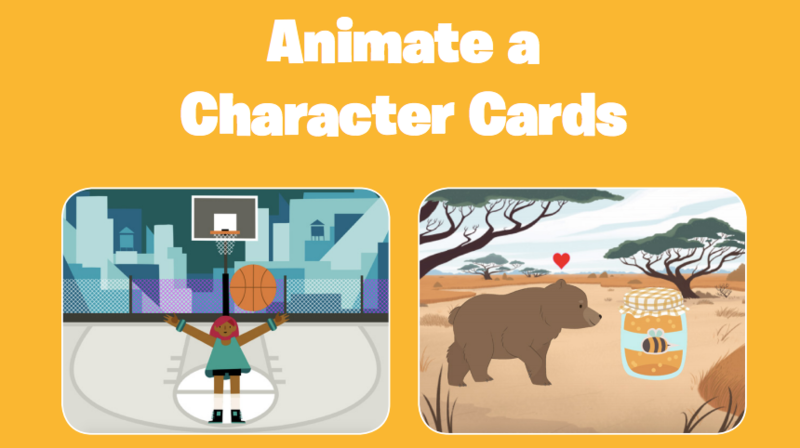 To plan your class or workshop, download the Animate a Character Educator Guide.